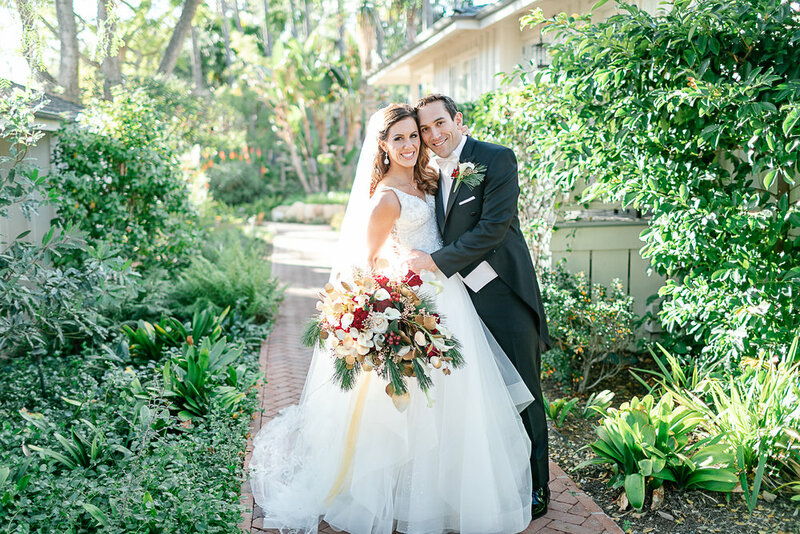 This weekend I had the pleasure and honor of photographing Aly and Max’s gorgeous Santa Barbara wedding. 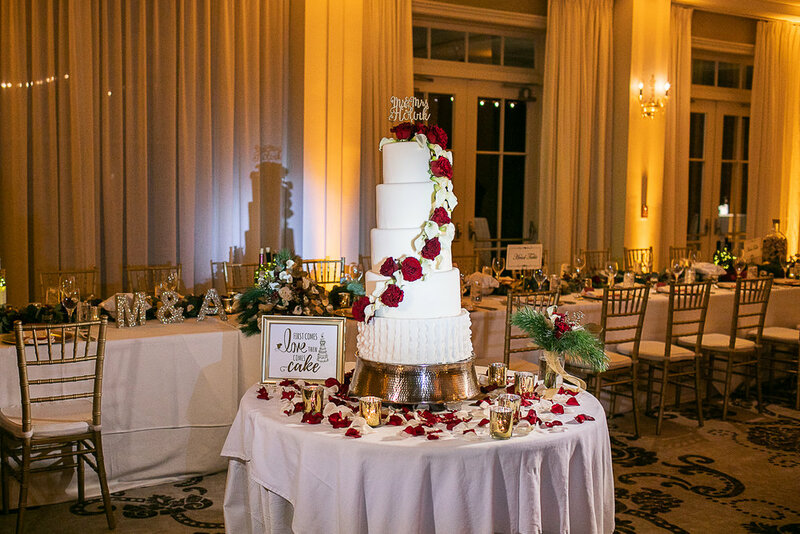 Their wedding was at the Belmond El Encanto, a Craftsman and Spanish style venue, and this stunner was the perfect back drop for their Christmas inspired wedding. It was a breezy beautiful day but mostly clear this Saturday, and Aly made a stunning bride. Max looked so amazing in his tails, and I loved when all the bridesmaids brought out a top hat (as a little joke) to finish off his formal look. The details of this gorgeous couples day, are innumerable, and that’s probably why I had such a hard time narrowing down pictures for a sneak peak. Every corner, ever nook of this venue was stunning. And on top of that the bride added such personal and lovely details. I especially loved their sunset ceremony, complete with candles, a koi pond, and soft chiffon curtains. It may have been cold outside but this couple kept it red hot! I loved every minute of their day, and I know their future together will be as beautiful as their wedding day was! Congratulations you two and I hope you LOVE this sneak peak! Yesterday's engagement session with Emily and Justin was full of laughs (and a few tasty drinks from Soda and Swine)! We wandered around the beautiful grounds of Liberty Station and made our session into a little mini date before these two went to dinner for a real date. We walked, we talked, we danced and just generally had a great time. You don't always find couples who are willing to try new and sort of goofy things for pictures but these two willingly (sort of) went along with all my ideas. I think something I really enjoy about engagement sessions is that this is an opportunity for my couple and I to become friends. We trade stories, learn a lot about each other, and our families, and I get to learn how a couple naturally moves together. I love Emily and Justin story, it's full of travel and real adventure. They met on a birthright trip to Israel in 2010 and didn't really connect with each other until right at the end of the trip. But that connection was strong enough to keep them talking and then eventually dating long distance. It was strong enough that when Justin decided to move to Costa Rica to open a restaurant, Emily decided to move from New York to come along and help build something together. And they've travelled all over ever since, together, because when home is a person you can move any where and belong. 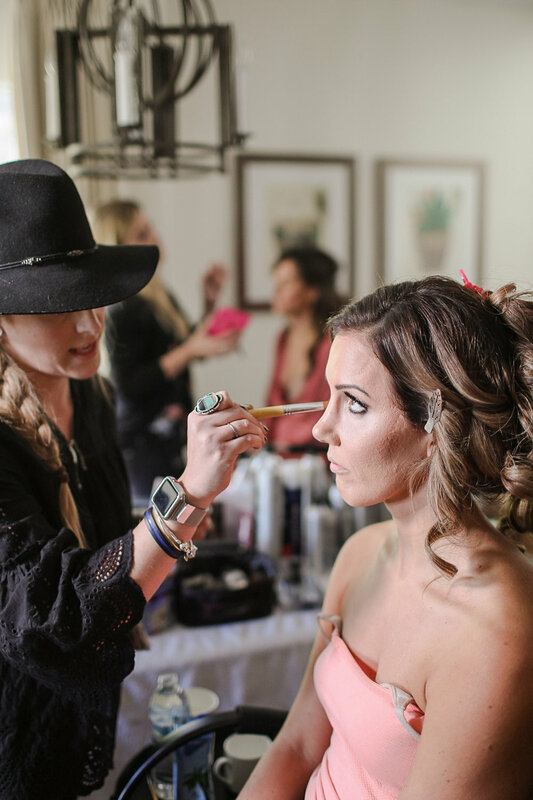 I am so excited for your wedding, and I hope you love these sneak peaks!